Thanks to my sis, Pam, for The Talisman Scarf, and to Sage Tyrtle of Qn , for reading it. Support Krystofer’s AidsLifeCycle ride from San Fransisco to LA. Today’s Sweater was knit from Alpaca With a Twist 50/50 Alpaca Cotton boucle blend (which may, tragically, be discontinued). Tonia is wearing her sweater, in a photo in this blog post, along with my hat (which she doesn’t think suits, but I think is marvelous). You can download Sean’s excellent six track EP for FREE, just by clicking his name, and signing up for his mailing list. There isn’t a duff track in the mix. Highly recommended. Thanks, Dawn, for the tip! I mistakenly identified Josh Woodward’s wonderful track as one by Jonathan Coulten. My apologies to Josh. Please buy his music. Thanks, Becky in VT, for the music tip. You were right. I LUFF them! Ok, that ‘Put the Workd On Stop’ is my new theme song. Thank you thank you thank you for putting something else in my head than my 3 year old son’s current ABBA craze. Tonia’s jumper is gorgeous. It looks so soft and comfortable and I love the colour. I love the alchemy theme too. Keep up the good work! You are my listen of choice on my way to work. Hi! Love the colours of the Tonia’s hat. Can we see some of her paintings? (Request from my wife, also a painter and recipient of most of my knitting – some of which gets worn lots, others less so…) I haven’t listened to the latest podcast yet; I’m saving it for doing the ironing to. 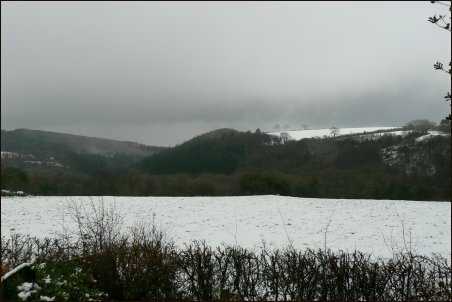 We still have snow in our bit of Wales – a couple of inches on the lawns and the pavements all icy – it IS exciting I agree. Everyone ‘down’ in Chester looks at me as though I’m mad when I ask them how their weather is! I listened to the show yesterday whilst travelling to London from snowy Oxfordshire. I really enjoyed Pam’s story about her scarf, read beautifully by Sage as always. Just a light note to let you know how much I appreciate you and your podcasts. I’ve been a rogue knitter since 1992, learning stitches but never learning how to read patterns.. In the past couple of years, arthritis has made me home bound and I turned to knitting and crochet as my vocation. You have encouraged me through your podcasts, to not just ‘cast on’ but to also really learn my craft. I find myself smiling, enjoying, listening and thriving as I knit to your words. Truly, you are a wonderful and kind person. Thank you for doing what you do. By doing just this, you have changed my life for the better. A wonderfully satisfying podcast. The alchemy theme is really rich, and I appreciate the way you combine the information about science and philosophy with the story of your knitting, and I have to say that Kierkegaard’s words brought tears to my eyes. Today’s sweater is beautiful. Although I am still a knit the sucker in pieces and seam it together person, you make the challenge of a top-down raglan intriguing. Pam’s essay on her talisman scarf, the apt musical selections, Sage Tyrtle’s voice. Yours is the only “knitting” podcast that I would recommend to non-knitters, it has such depth and quality, and speaks to much larger things than the latest cult yarn or knitting gizmo. I’m so glad you liked Great Big Sea! Thanks for all the great podcasts. I know you said you’d have another podcast out right away, but I am still ridiculously pleased to see it’s here and ready for listening to. You just made my night, and I haven’t even listened yet! Thanks so much for your tip on knitting the sleeves first and then tucking them in the body as you work the rest. It make so much sense, but it is one of those things I just never would have thought of. Having now listened to several of your podcasts via my mp3, so that I can knit in my husband’s shop when my school job is finished for the day, I feel as though I know you really well! Thank you so much, each episode is always both entertaining and informative. I live in South West UK, but as my eldest daughter went to Uni near Cardiff, I know the arcade where the Italian restaurant is. Such a beautiful and busy city! I keep listening to podcasts from the US, they make me feel slightly sad because there seems to be so much going on for knitters over there. Or am I just listening to the wrong things? How about events near you? I hope all is well for you and your technology, as I have just managed to download your lateast podcast I guess you have managed to sort things out! Thank you so much for yet another wonderful episode! And thank you for introducing me to the great music you play! I have already downloaded Sean Fournier from this episode, and We The Living from the last. Also I must say it is very exciting to listen to “today’s sweater” while crocheting along on my first try. I’m over half way and can’t wait to finish it. Thank you for your podcast. I just recently discoverd it, so I have lots of old programmes to listen to. Lovely! I live in the middle of Sweden and we still have quite a lot of snow. It´s cold, but sunny so a fine winter´s day. I´m glad i found you! Lovely, lovely podcast. I had to smile at the bit about pie dough. I, too, was a big fan of “helping” with pie dough as a little girl and always insisted that my mother “bake it.” My mother found a fool-proof pie dough recipe that can withstand the best over-rolling a little one can give it. It is still, nearly 40 years later, the official family recipe. How I love your podcast! My knitting needles have been very active since I started listening to your wonderful stories and everyday tales of knitted life. I live on five acres in rural Western Australia within the jarrah forests and yesterday we had 40oC outside so I have been indoors listening to you. On these hot evenings we often have over 30 kangaroos lolling about in the shade and eating everything within reach. Over here everyone is so sad about the bushfires over east many of which are still burning….. We are also in a high bushfire risk area, the forest around us is tinder dry, so we have a fireplan should the need arise. Thank you for all the hours of joyful listening. Really enjoying this podcast. I am deep in the preparations for an exhibition, knitting cosies for headphones (!!!) for several sound installations and making an encouraging banner from felt. I feel less lonely sitting up through the nights making things, because the podcast is keeping me company! For a raglan that has a little bit of shaping I can recommend highly the Hourglass Sweater from last-minute knitted gifts. The pattern is written bottom up, bue we are having a KAL in our knitting group and some people are making this sweater top down. When you said you fancied making another top-down raglan with a little bit more shaping, I thought of this pattern. Thanks for keeping me company during these looooooooooooooooong nights of frantic, last-minute making! For three years I have been listening to your blog faithfully and with great joy. You may not know it, but we found each other just when you were starting and I filled the dark winter nights with your insights, stories and charm. The podcast works well because of your arrangements, the themes and the contributors. Really top class. Sorry I have not sent enough cookies. I am certain there are more out there like me; enjoying in silence. Keep going until you are ready to stop, and know that I am very grateful everytime you do another show. You made me cry today, in the best possible way. Daffodils were my grandmother’s favorite flowers. And thinking about them makes me think of her, who passed away 3 1/2 years ago. I tried to set her memory to the side while I listened to the rest of the podcast. I was so excited to hear another today’s sweater. And then you hit the chord that sent all my emotion soaring. Chris in the morning. I love him! And haven’t heard mention of him in so long. I remember the episode so clearly and when I heard Enya following it my throat tightened and the tears started. And I wanted to share that with you. Thank you so much for all you do. My husband gave me an iPod Touch for my 60th birthday. It took weeks for me to figure it out because I’m the only person I know who has one. 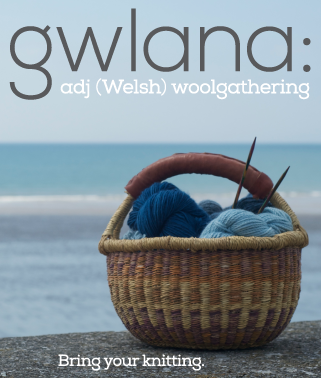 But when I discovered there were knitting podcasts to download, I scrambled to learn! After listening to bits of all of the podcasts there are, I have found yours to be the best. Thank you for this wonderful program. It is a jewel of a find because knitting is my passion. Love to you. Loved this podcast, although I did lose track of the pattern I was knitting and had to “unknit” a round of my sock. As always, fabulous choice of music….lovely to hear Enya and I was thrilled at the inclusion of Great Big Sea (I’ve been listening to them for well over ten years). I only discovered your podcast around Christmas, so I have to go back and do some serious downloading. Thank you for making such a meaningful contribution. Yes, Alpaca with a Twist discontinued the Asti yarn a couple of years ago, and we’ve long since sold off or given away any we had left. In fact, it took me a bit even to remember what it was called, though with my memory that’s not saying much. Libsyn continues to give me trouble downloading the podcast. I think it must be the time of night when I try to listen (2-3AM EST), because it’s not just Cast On that won’t download. I don’t know if they’re doing data backups or what, but this didn’t used to happen and I’m irritated (with them, of course). Haven’t commented on a podcast in a while.. I took a detour for a while…. I have to say listening to your artlcle FLING really struck a chord with me right now. It is funny how one can use the skill of knitting to apply to analogies or metaphors for our larger themes and issues in our emotional/spiritual lives. 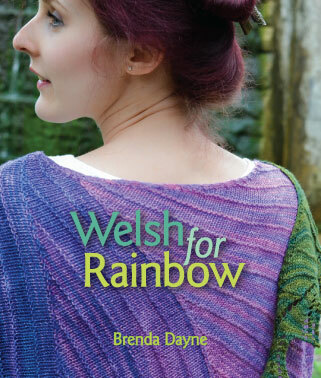 I love how you manage to write about knitting so those universal themes come through. I remember I went to my (now ex) boyfriend friends black belt test a about 5 years ago… I was watching as all those who were being tested were breaking through cements blocks like they were butter.. except this one woman. he said to her “if you put as much energy into BREAKING the brick as you are stopping yourself from breaking it you would break it”. Those words resonated with me. We seem to always try and stop ourselves either consciously or consciously from actually DOING the thing we should or could do… by either making up excuses or some internal unconscious fear that stops us from succeeding and finishing it. . Hearing you talk about trying to do all these “shortcuts” or tricks instead of actually just working the pattern essentially the way it should be worked was a nice reminder. I sometimes get overzealous and respond to something before I listen to it all the way through. I would like to put a PS on that last post. I do believe that the art of experimentation is a journey and can be a wonderful teaching tool…. and that I really what I love about knitting. I am no longer afraid to try new things. Thank you for a wonderful podcast! I would like to invite you to a KAL with a literary theme. It has a blog wich is newly started. It lasts until october 1 2009. It is in swedish, but I´m sure you can blog and submit pictures in english. Knit anything with a líterary connection! Book-bag, Book-mark(?) or an item inspired from a book. I,m going to knit a Robert Burnsinspired scottish tammy. Please join and let others know about it. Sticka is the swedish word for knit. And litt is of course short for litterature. oh – so wonderful to hear a taste of my home at the end of the podcast! (although i’m pretty sure your opening song is by a Newfoundlander as well…). love the podcast, thank you so much for doing this! Loved this show — Kierkegaard and Code Monkey! (OK, I know, the replay of Code Monkey was from the last show.) You rock, Brenda. I came to podcasts late, and so I listen to you every day while walking my sweet goldendoodle. I’m dreading the day when I’ll be caught up and will have to wait weeks for a new Cast-On.